The Agri-Food Quest Competence Centre’s (AFQCC) Manager, Stephane Durande explains how the centre will help drive interaction between researchers, industry and the public sector. Northern Ireland’s new £6.7 million Agri-Food Quest Competence Centre (AFQCC) will encourage interaction between researchers, industry and the public sector, according to the organisation’s manager, StephaneDurande. “Our agenda will be defined by the specific needs of Northern Ireland’s farming and food sector moving forward,”Durande says. 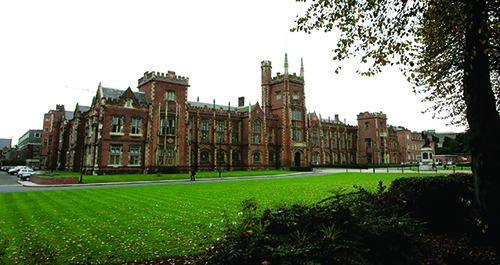 Hosted at Queen’s University, Belfast, the new competence centre will draw upon the research capabilities of Ulster University (UU), Queen’s University, Belfast and the Agri-food and Biosciences Institute (AFBI). The centre’s primary focus will be on improving the international competitive position of Northern Ireland’s agri-food sector through innovation and co-operative research. Financing for the centre will comprise £5 million of research and development assistance from Invest NI and a £1.7 million investment from industry partners. Durande confirmed that the new research centrewill provide a platform for companies which want to pursue research projects in areas such as packaging, shelf-life, waste minimisation and food security. “Not only will it support the development of our local food industry to compete strongly in export markets, but it will also build on the agri-food knowledge and skills that already exist here in Northern Ireland. “I would encourage companies operating within the farming and food industries to explore how this centre could benefit their business.”Durande pointed out that the farming and food industries in Northern Ireland will confront a number of key challenges over the coming years. “Food system emissions, from production to consumption, contribute 9,800 to 16,900 million metric tonnes CO2 equivalent per year or 19 per cent to 29 per cent of total non-CO2 greenhouse gas emissions,” he said. “Meanwhile, the global livestock sector emits almost 6,000 million tonnes CO2 equivalent per year or 11 per cent of global non-CO2 greenhouse gas emissions. These emissions are expected to increase 70 per cent by 2050. “In addition, many crop yields are expected to decline due to long-term changes in temperature, rainfall and increased climate variability. The outcome may be higher food prices, along with chronic poverty and undernutrition and food supply chain pressures. “Northern Ireland’s agri food sectors must play their part in delivering solutions that allow the world to overcome these challenges.”Durande explained that core research themes to be addressed by AFQCC will include: the hygiene and shelf-life of food products; the development of innovative processing and packaging systems plus the guaranteed safety and traceability of the food products emanating from Northern Ireland. “Calls for projects will be made at least three times a year,” he said. “These will be funded to the tune of 75 per cent by Invest NI with the remaining 25 per cent coming from the industry. This latter component can include funding in kind. AFQCC members can join a consortium to propose a project. This will comprise a minimum three member companies and one research organisation. Each application received will be voted on by a steering committee. Durande pointed out that the new centrewill leverage additional research funding sources. 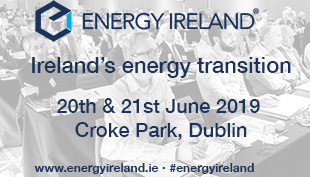 Locally, these include DARD and InterTradeIreland. “We will also assess the funding opportunities which the EU’s Horizon 2020 research initiative can offer,” he said. According to Durande, AFQCC is the fourth in an initial series of Competence Centres being funded by Invest NI and industry partners. These have been designed to rapidly transform applied research into commercial success. The new centre of excellence should also facilitate the attainment of the targets laid down within the ‘Going for Growth’ strategy. This sets out a vision for the agri-food Industry in Northern Ireland. Specifically, the strategy recognises that investment in research and development is a crucial component in the development of innovative food products and the targeting of value added export markets.